This is an oval Newport Ice porcelain sign. This particular Newport Ice sign is orange with black text. 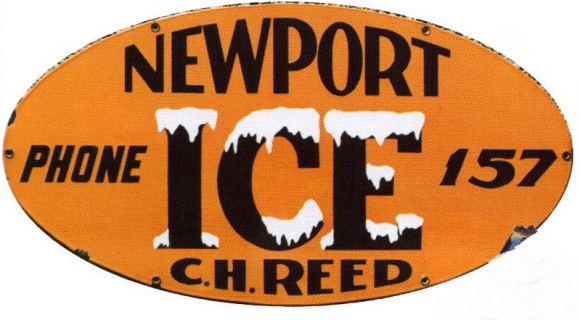 It reads, “Newport Ice, Phone 157, C.H. Reed” and features white frost on the “Ice” in the center.